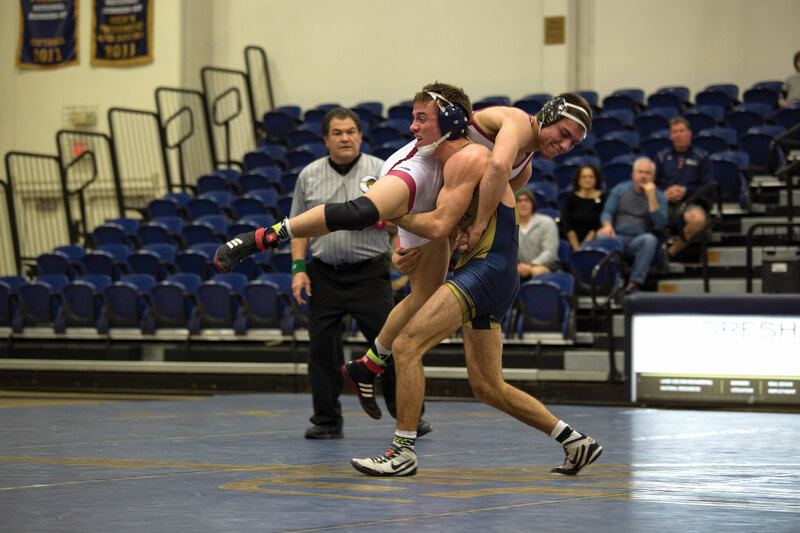 After a season of firsts, it only made sense that the wrestling team at California Baptist University is preparing to close out the season with its first ever Rocky Mountain Athletic Conference title. With a team score of 133.5 points, the Lancers claimed their first RMAC title over all eight other teams. The team had nine out of 10 wrestlers competing for a top-three spot in each of their weight classes with five wrestling for third and four wrestling for the individual title. Individual titles were claimed by Nolan Kistler, sophomore criminal justice major, who won the 165-pound RMAC title; Joseph Fagiano, graduate student in business administration, who claimed the co-Outstanding Wrestler of the Tournament title; and Jacob Waste, junior criminal justice major, won the RMAC title for the 184-pound weight class. As a whole, the team was able to claim their first ever title. Brady Bersano, senior marketing major, said the win was not a surprise considering the year the team has had. In the last home meet of the season Feb. 5, the RMAC champions faced Colorado Mesa University, winning 19-15. The match presented an opportunity for redemption for Bersano, as his opponent beat him 10-9 during conference championships. Bersano defeated his opponent in front of the home crowd with a four minute, 54 second pin. With a conference title under their belt, the team will look to prepare for the NCAA Division II Super West Region Championships Feb. 26-27. This tournament will determine who advances to NCAA Division II Championships March 11-12.